East Coast Construction Group, Inc. is a family owned, full-service construction company with over 30 years professional experience on the Outer Banks of North Carolina. Bill & Kim Lane are both licensed General Contractors and started Lane Custom Builders in 1984. In addition to achieving a North Carolina General Contractor’s license, Kim had also achieved a Bachelor of Science degree in Business Administration -Management and Marketing, and achieved a North Carolina Real Estate License. As they started out in the field, Lane Custom Builders focused primarily on 4-5 bedroom residential homes for year-round Outer Banks residents and smaller rental homes. As the vacation rental market gained steam in the 90’s, Kim & Bill Lane began shifting their talents to the fast-growing vacation rental construction market and started building larger 6-10 bedroom vacation rental homes. In 1994 Bill & Kim Lane incorporated under East Coast Construction Group, Inc. They experienced unparalleled growth during this time period and stayed on top of the booming OBX building business. During this time they also expanded their construction business to include real estate services. In 1999, Bill & Kim Lane formed Exclusive Properties by East Coast Realty, Inc. As they moved forward into the real estate market, they acquired an impressive portfolio of fine vacation homes they built and successfully marketed under the Exclusive Properties brand. 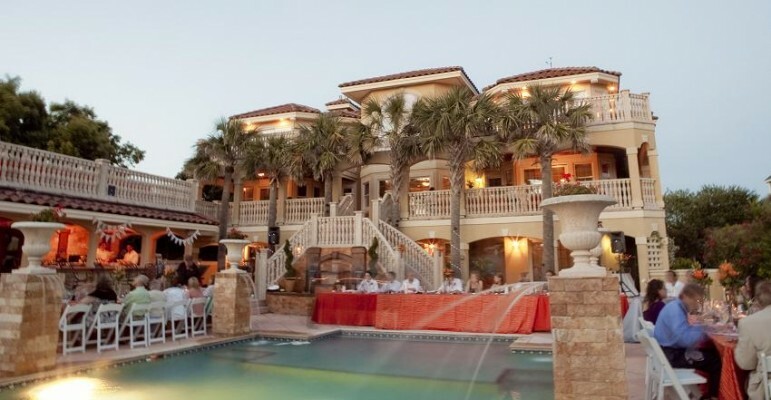 The elite Exclusive Properties homes are well-recognized as the area’s finest, most luxurious vacation rentals available on the Outer Banks. Stephanie Lane, Bill & Kim’s daughter, is actively involved with the family business, overseeing construction details as well as the vacation and event rentals at Exclusive Properties. The Lanes were true innovators in the Outer Banks Luxury Vacation Rental Market. Leaders in building larger homes, the Lanes also challenged rental management companies to achieve the highest rental income. They were the first on the Outer Banks to design and build signature pool houses, infinity-edge pools, sports bars, state-of-the-art theater rooms and impressive glass elevators with custom painted murals. They set the bar high and their homes enjoyed unsurpassed investment potential and resale value. Their one-of-a-kind designs are often copied, but never duplicated on the Outer Banks. Bill and Kim Lane can offer their expertise and offer design suggestions to make your vacation rental more profitable and enjoyable for guests. They know what the most discriminating guests demand from a vacation rental. The real estate market is shifting again and with today’s lower real estate prices more and more Outer Banks residents are considering home ownership. Many out of town home owners are taking advantage of today’s buyer’s market and starting to build that second home for family and friends to enjoy. Bill and Kim Lane began to receive more inquiries for building residential homes once again. They successfully used their luxury home experience to build an impeccable home at a most affordable price in today’s market. The same meticulous attention to detail that is applied to their own extravagant oceanfront homes is applied to exceptional modest homes designed for year-round living. Kim, Bill and Stephanie Lane are involved with every aspect of each home’s construction. They are a hardworking, hands-on team, who can be found at the job site daily overseeing progression of your new home. Their extensive knowledge will ensure your home is built with the highest standards of quality at the most affordable price. During their tenure, they have forged lasting relationships with the area’s best subcontractors, planning departments and vacation rental managers. ECCG, Inc. is familiar with the challenges and laws that pertain to building in a coastal environment as well as the permitting and building process in every Outer Banks town. They will guide you every step of the way and keep you well-informed and educated about every aspect of your new home, from breaking ground, to acquiring the occupancy permit. Bill & Kim Lane are on the pulse of today’s innovations and finishes, and they can also provide professional décor design to assist with furnishing your new home. ECCG, Inc. has a variety of Floor Plans available in every price range. From their affordable 3 Bedroom Beach Box plan to larger vacation homes with 18+ Bedrooms, we have plans to suit almost every budget and lot. Please contact Bill Lane today for more information about available floor plans and to speak with him directly about building your Outer Banks Dream Home.